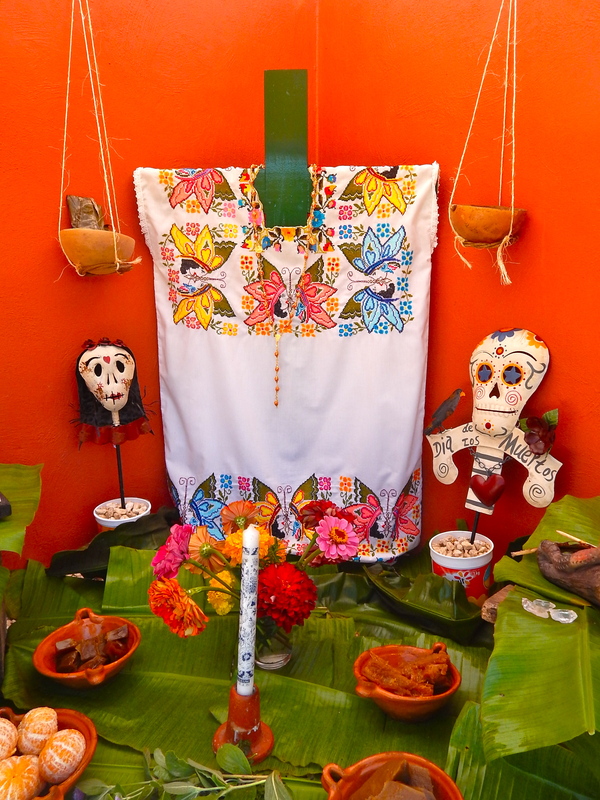 It is that time of year again when the traditional day of the dead is fast approaching.As I have written before ,here in the Mayab… the land of the Maya it is called Hanal Pixan or food for the souls . 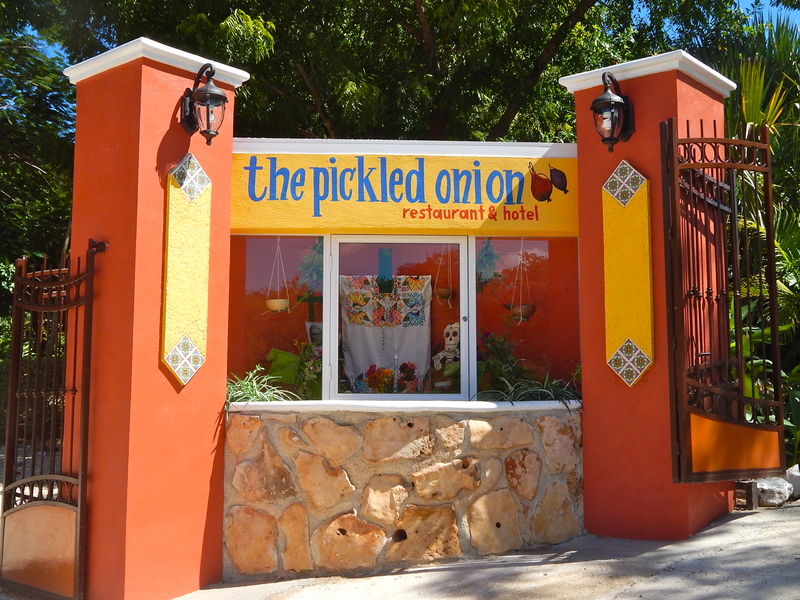 Last year I went into Merida where they do the day of the dead walk from the cemetery to Ermita church… it is an annual event which attracts locals and tourists alike… it is quite unique to be amongst the throngs … This year I am laying low and decided to erect my own altar in the entrance way to The Pickled Onion . 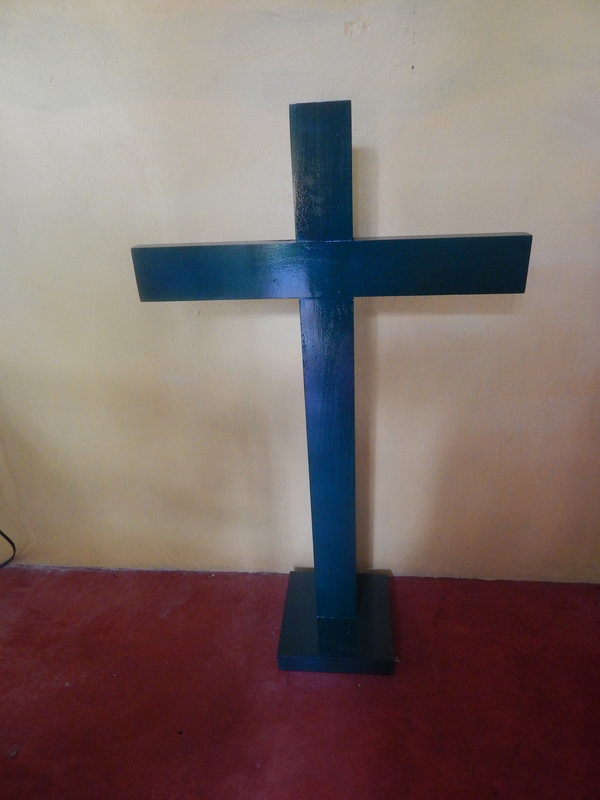 Remember the photo I published a couple of weeks ago on Facebook showing my new cross, well now you will know for what reason I had it made. I had a display cabinet made to fit into the new entrance way and I was so excited to make the first display of many that I have on my mind . 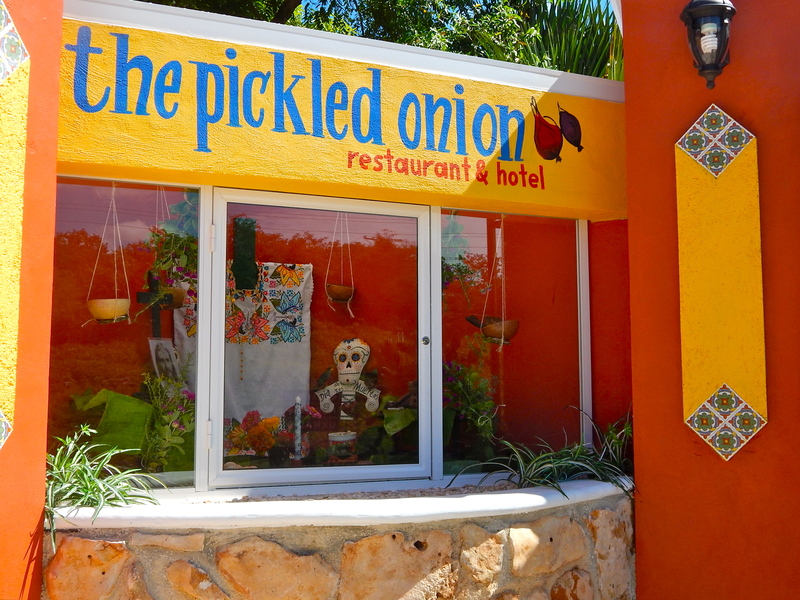 This entry was posted in Uncategorized and tagged day of the dead, Hanal Pixan, Soul food, the pickled onion uxmal. Bookmark the permalink. I love it! 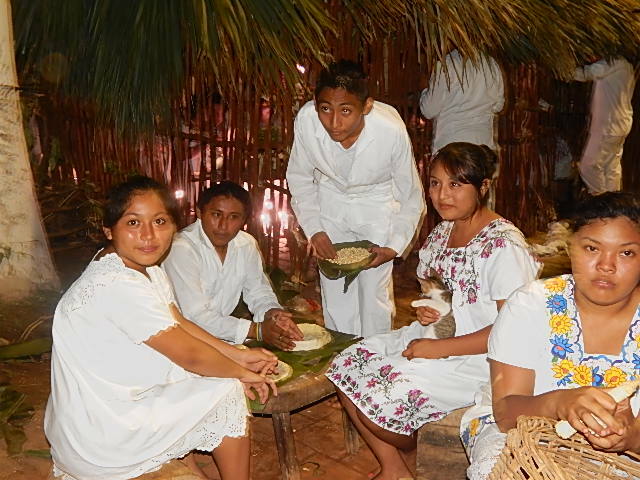 Hope to be down for another visit in 2016. Yes, very sad when the government money dries up.